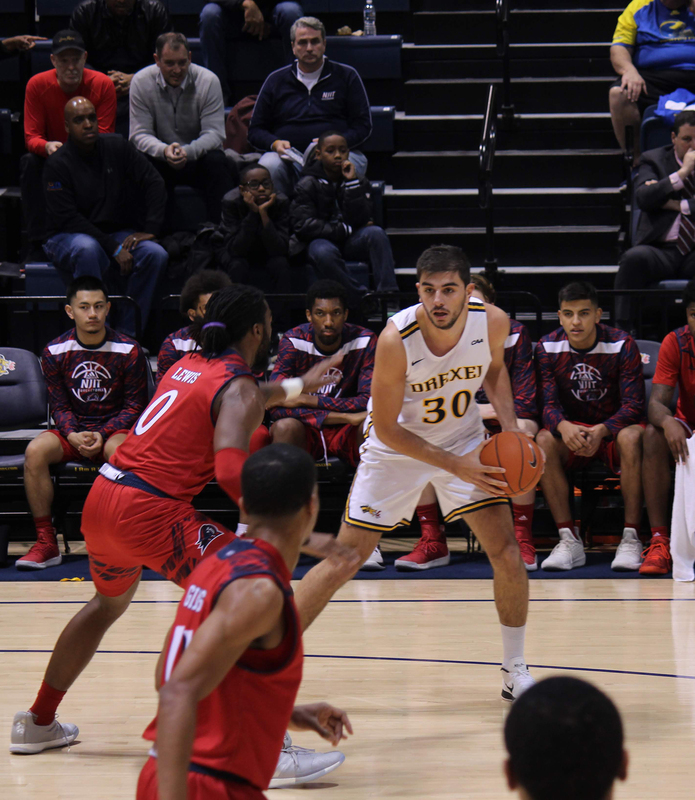 The Drexel University men’s basketball team traveled to La Salle University for an inner city matchup featuring two Philadelphia teams Nov. 17. The matchup was a great opportunity for Drexel to beat a well-known basketball school among college basketball fans. The Dragons made the most of their opportunity as they led the Explorers by six at halftime. Senior Troy Harper and junior Alihan Demir led the Dragons with seven points each as part of a balanced Drexel offense. The first half featured a tough defensive battle, as both teams settled for a 35-29 score, but the second half was a different story. The Explorers outscored Drexel by just one point in the frame, 55-54, as both teams traded buckets all night. La Salle’s second half surge was not enough to beat the Dragons, however, the performances of Harper and Demir were too much for them to handle. Harper finished off the day scoring 17 of his 24 points in the second half. Harper scored 14 of his points from the free throw line. Demir racked up 21 points on 7-13 shooting. Despite the win, the Dragons struggled mightily from the three-point line going only 3-14. The final score of the game was 89-84. The Dragons looked to build on this momentum as they headed back home to play Boston University Nov. 21. Drexel had the lead from tip off all the way to the end, dominating in all aspects of the game. Though they only led by six at the half, the Dragons kicked it into high gear for the second half, as they outscored BU by 13 points and fed off the Dragon faithful’s homefield energy. Drexel saw a great performance from freshman Camren Wynter who finished with a career high 22 points. The Dragons outrebounded BU 40-21 as well, which helped establish their presence in the paint and led to plenty of offensive opportunities. The Dragons hosted the New Jersey Institute of Technology Nov. 28. Drexel took the lead early in this one, going on a 9-2 run. However, the lead did not last for long as NJIT went on a 13-0 run of their own in response. Despite the hot start, the Dragons trailed at the half by a score of 45-36. NJIT was led by senior Abdul Lewis, who had 13 points at halftime on 4-6 shooting. Demir had the hot hand for the Dragons in the first half, shooting 5-7 resulting in 10 points scored. While Drexel outscored NJIT in the second half 31-25, the first half deficit was too much to overcome. Despite the loss, Drexel outrebounded NJIT 49-32. As a whole, Drexel is 3-4 on the season. Drexel will host Robert Morris University (3-3) Dec. 1 at 2 p.m. at the Daskalakis Athletic Center.